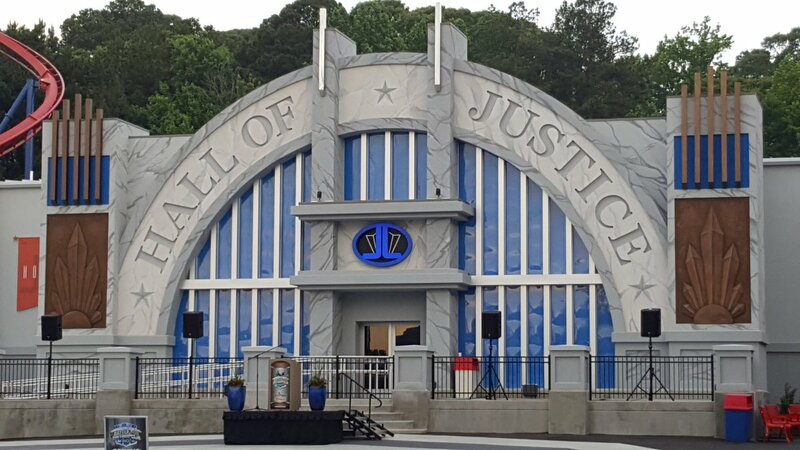 Six Flags Over Georgia in Austell, Georgia hosted a blogger media day on June 1st for their new for 2017 ride, Justice League Battle for Metropolis. The park and ride were open from 9:30 to 10:30 exclusively for bloggers who registered to attend the media day. Justice League is a 3D interactive shooter dark ride built by Sally Corporation and is a clone of 4 identical Justice League’s operating at other Six Flags parks. Justice League is themed to the DC superheroes and super villains. You are on a mission to save the Hall of Justice and heroes, such as Superman and Batman, from evil villains, such as Lex Luther and the Joker, plotting to destroy the Hall and capture the heroes. When you reach the loading bay, your will put on a pair of 3D glasses and enter a car seating 6 people, 2 rows, 3 across. Once your car is dispatched, you will enter many show rooms with animatronics and video screens. The movie screens will depict various scenes of you chasing villains through the city. Your job is to shoot the villains’ henchmen and robots to score points. You will meet all the super villains up close and personal as you desperately try to save the superheroes. Justice League was not one of my first interactive dark rides. The one at Over Georgia was my first Justice League, but I have had experience with similar rides at Universal and Disney Parks. 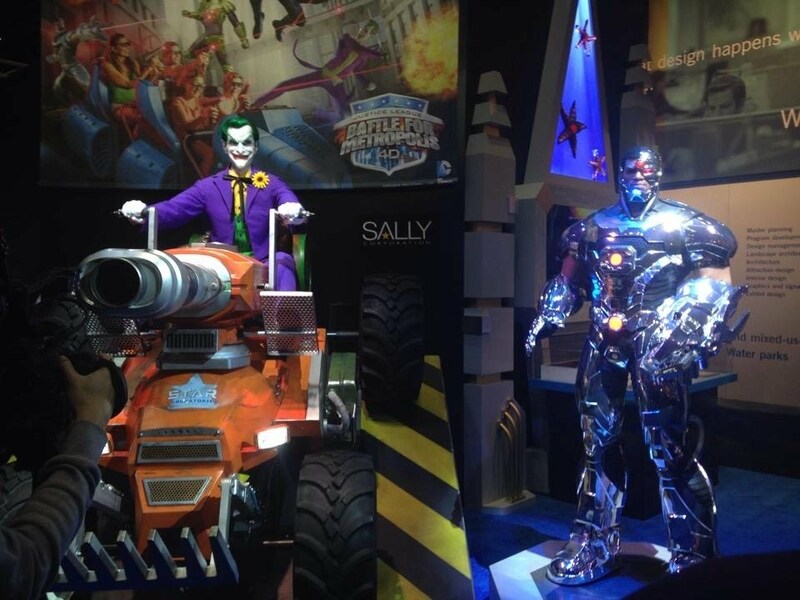 I think that Justice League can definitely compete with these Universal and Disney dark rides, as Sally Corp put a lot of effort into these rides. Six Flags Over Georgia did a very good job theming this ride. The ride experience was pretty decent with great special effects, lighting, and sound. The car rotated and jumped around, just as you would flying around a city. The only parts you could shoot and get points were at the sporadic show screens distributed throughout the layout. If I were to give Justice League a score while comparing it to other dark rides by Universal and Disney, I’ll give it a solid 8 out of 10. It has great theming for Six Flags standards and gives the park a solid family ride while entertaining everyone from kids to adults. I think Six Flags should install more of these clones while they’re popular, but soon move on to new rides as trends begin to change.